You can learn about the other side of this transaction here: Looking for a Life Changing Experience? Try Buying a Bail Bond Business!. Probably one of the hardest decisions I have ever made was deciding to sell my family bail bond business. I'm a second generation bail bond agent and bail is really all I know. One day after years of dreaming about life after the bail bond business, I decided it was time for a change. It was finally time to sell my family heirloom, a business started by my dad in 1971. The bail bond business is a very unique entity. Bonding companies are generally very profitable but extremely hard to sell. With intense government regulation and hard to quantify valuation, a bail business, if sold, will generate far less than it should when compared to other businesses. The value of most bail operations is in good will. Basically, you are selling your name and reputation and not much else. If left alone, the business will generate large profits year end and year out, but there comes a time in any career when you have had enough and just need a change of scenery. I have been told by several sources that selling a bonding company has a formula to base your asking price on. What is the Basic Valuation Formula for bail bond companies? The basic valuation formula is $50,000 per one million in liability written each year. So for example: you will receive about 150k if you write 3 million in liability annually (about 300k in premium). I hate this formula personally and think it is way too low. To me it feels like giving it away. Even more troubling is finding a qualified buyer with cash to close your deal. If you’re an astute investor you may look at the purchase purely from an investor point of view. An investor would typically view the purchase as a capitalization rate or cap rate (often used for real estate). The capitalization rate is the ratio of Net Operating Income (NOI) to property asset value. So, for example, if a business was listed for $300,000 and generated an NOI of $100,000, then the cap rate would be $100,000 divided by $300,000, or 33%. That is an incredible return. This is the easy part. Buying a bail bond business would not be considered an investment. You are buying a job. As you already know, the bail bond industry is a very unique business model. Most people do not have a clue how it works. Even worse, we are harshly regulated. Speaking from my Florida perspective, a bail agency cannot be owned by a person unless they are already a licensed bail agent. Therefore, your available pool of potential buyers is whittled down to your competition and current employees. It’s rare that some guy awakens one day and decides to buy in and get his bail license. Most States have succession processes so look into any laws or regulations that govern our business. Even more challenging is to find a buyer with enough cash to satisfy your urge to move on. I have yet to find a commercial lender willing to loan on a bail bond business unless the buyer is unbelievably qualified or real estate is tied to the sale. I say that in jest due to the fact that if your buyer is unbelievable qualified, it’s doubtful that they will be adding a bail bond agency to their portfolio. Once the word gets out that you are selling, you will hear from every tire kicker around. Getting the word out is all about marketing. There are a few commercial sites you can use without a business broker. You can market directly on the web with a designated web address: xyzbailbondbusinessforsale.com as an example. A detailed and colorful flyer will be helpful for any direct mailing. Be prepared to require your potential buyers to sign a confidentiality disclosure before you open your books. I thinks it’s prudent to talk to a few business brokers for advice and definitely use a lawyer to close the deal. Everyone needs protection in the sale and transfer of a business. What’s the real reason for selling? What will I do for a job going forward if all I know is bail and I’m too young to retire? Is it just a change of scenery that I’m looking for? Do I open a new bail bond business elsewhere? Am I just tired of the industry and want something else? I found my primary objective in selling was that I truly wanted a change in scenery and wanted to live by the beach where I could enjoy my boat. My family’s bail bond business was not near the water that kept me land locked most of the time. Coming to the realization that it was truly just a change of geography that I needed, I sold the business and relocated to Clearwater, Florida, and opened up another bail bonds business. I am enjoying life by the beach now and operate 49th Street Bail Bonds in Clearwater, Florida. For others who are considering selling their bail bonds business I wish you success in putting together a win-win agreement between you and the buyer. Enlisting the help of an attorney and business broker to evaluate your business so you can maximize your return on investment would be highly encouraged. It may be a difficult decision but there could quite possibly be a new chapter of your life waiting for you once the bill of sale is signed! Best of luck to you if you are considering selling your bail bonds business. Author, Joe Von Waldner is a second generation bail bondsmen. He was licensed a few months after turning 18 and has been an full time bail agent for 32 years. He has owned several bail agencies and managed dozens of agents throughout his career along with active participation in the multiple local bonding associations. 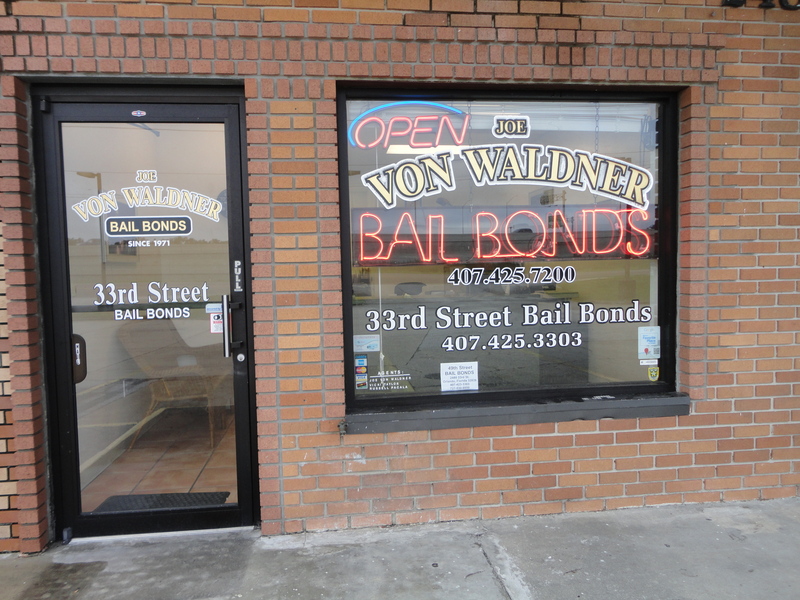 His Clearwater, Florida bail bonds agency, 49th Street Bail Bonds, is active in the community and participates in the Pinellas County Adopt A Mile program.